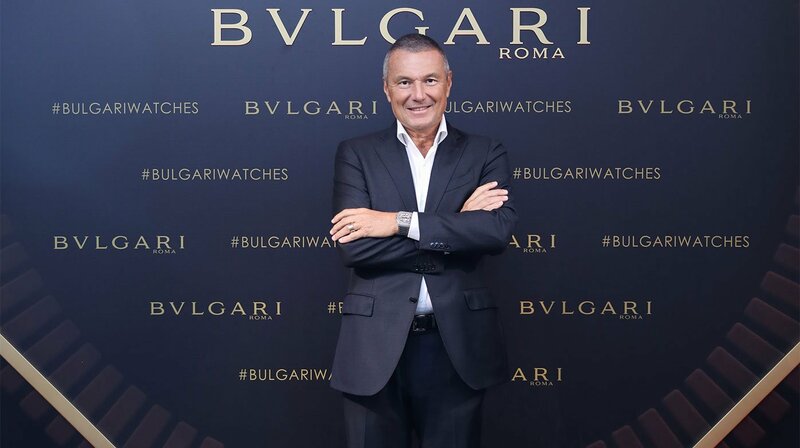 Bulgari’s CEO announces a culmination of rinascimento in 2019. 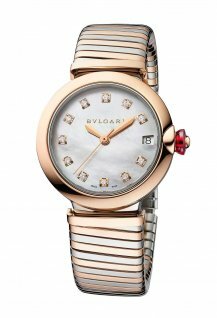 What were the highlights for Bulgari in 2018? It was another year of growth and market share gain for us if I compare our figures with the total Swiss watch industry exports. I’m very happy about that because we have been outperforming the industry for four years now, ever since we launched the Lvcea collection in 2014. 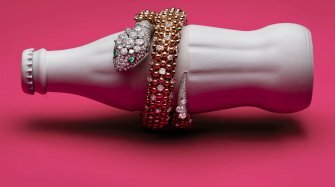 This has become one of our key product pillars, together with the hugely successful Octo and Serpenti collections. 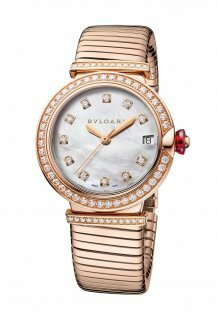 They now account for most of Bulgari’s watch business. 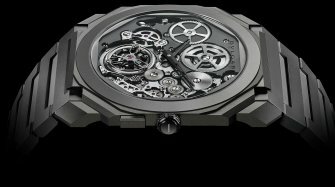 We saw continued growth in 2018 thanks to the Lvcea Tubogas and Skeleton models that we presented at Baselworld. Growth continued in the Serpenti collection, too, thanks to the ceramic and Tubogas models. With yet another new world record presented last year, the Octo collection also enjoyed strong growth. 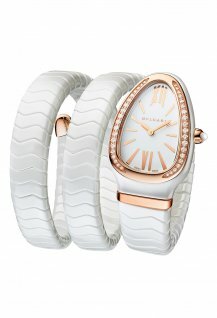 Furthermore, we have seen increased popularity for the watch collections in Asia, with record growth in China. 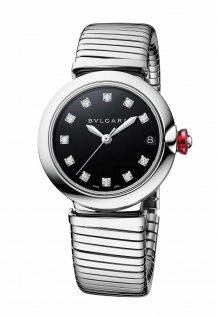 What can we expect from Bulgari in 2019? Will you continue to focus on Asia given the political and economic instability in Europe? There are two dimensions to the European market. On the one hand there is the local population and on the other the travel retail market, with Europe being one of the biggest tourist destinations. As far as travel retail is concerned, it is obvious that the Christmas period was tough, just because of the events in France, which reflected negatively on Europe as a whole. Chinese tourists react extremely quickly to events, as we have already seen from exchange rate fluctuations. They can shift destinations within 48 hours. We know from airlines and travel agents that Chinese cancelled trips to Europe in the run-up to Christmas and beyond. But they didn’t cancel their holidays. Instead they have shifted to Asia, favouring Japan, Thailand, Korea, Malaysia and Australia. Brexit will happen on 29th March this year. How do you see this affecting your business? The United Kingdom doesn’t seem to have been affected as much by the events in Europe. Maybe the country’s island status means that it is perceived as more protected. Like the rest of Europe, the UK has two parallel markets: local and tourist. If the value of sterling continues to drop then this will inevitably have a negative impact on purchasing power for the resident population. Tourists, however, continue to be driven by London as a top destination and the fact that the weak pound makes the market one of the most attractive in terms of price. As a global brand we try to avoid price differences between cities, but London has nevertheless been doing very well over the past 18 months and continues to be one of the best cities in Europe for us. It is true however, that if a lot of wealthy bankers leave the city to settle in Germany, Luxembourg, France and Ireland, we may lose some customers in London. But we are also well represented in the cities that they will move to. Can you explain the philosophy behind the idea of rinascimento that you first spoke about at the Bulgari hotel in Shanghai last year? In the rinascimento of the late 15th and early 16th centuries in Italy, a lot of existing paradigms were challenged in art, architecture and engineering. We realised that this is exactly what we had been doing since 2010 when we relaunched the Serpenti in the mainstream market with the Tubogas, added the Octo two years later and the Lvcea two years after that. These three icons have been infused with antique Roman codes: architecture for the Octo, jewellery for the Serpenti and a mix of both for Lvcea. In parallel, we introduced major advances in engineering, introducing the Finissimo and Finissima collections but also making major steps in the field of minute repeaters and innovating in the use of materials. If you take the Octo in carbon as an example, it’s not just distinctive because of the ultra-thin case or the angular design but also because of the material. 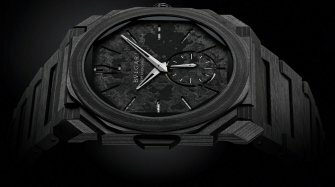 The use of carbon for the case, the strap and the dial is pretty unique. In fact, I don’t recall any other brand doing this and it changes the look of the watch completely. 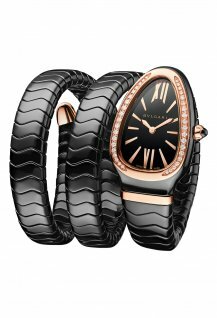 Whether I’m wearing a Bulgari perfume, a Bulgari watch or staying a Bulgari hotel, what defines the Bulgari experience? It’s a feeling of contemporary magnificence. Our hotels in particular are unique because they are in a league of their own. They are the only ones in the world with so few rooms and such a bespoke experience. Our closest competitors have five to twenty times more hotels than us and each hotel has at least twice as many rooms. So it is a completely different offering. Our influence is very Italian and specifically Roman, so you do have this Roman magnificence about everything we do, whether it is hospitality, jewellery or watches. But it is all done in a very contemporary way. The Octo, for example, is one of the most contemporary expressions of watchmaking architecture. 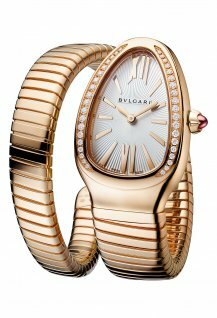 The same is true for the Serpenti Spiga, where I cannot think of another watch that is so contemporary in its look. 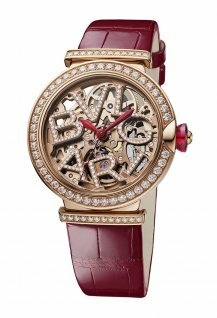 How have ladies taken to high-horology pieces and, in particular, the Finissima concept, which we saw with the Diva Finissima Minute Repeater launched last year? 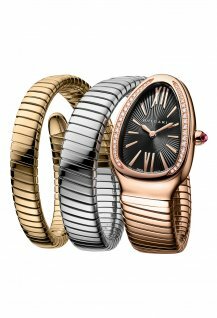 The Diva collection from 10,000 Swiss upwards was launched in 2017 and has fast become our mainstream collection for ladies. The Finissima minute repeater is the flagship model, bringing together the best of craftsmanship from dial making and gem setting to beautiful music from a home-made minute repeater. 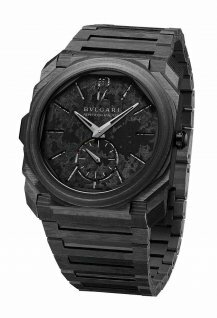 We are now developing the range between the entry-level watches and this high-end model. We saw a couple of examples this year with the artistic crafts and the Roman numeral dials. 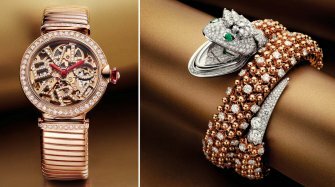 This segment of complicated jewellery watches is expanding. 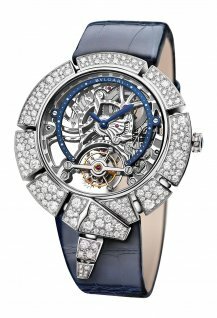 We already started developing it with the Serpenti Incantati model a few years ago with a skeleton tourbillon. In Le Sentier we have the expertise and craftsmanship to be able to design and create this kind of complication for ladies. 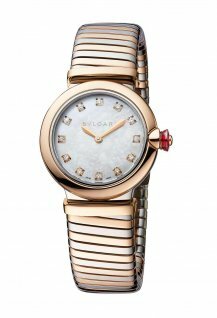 The Diva Finissima Minute Repeater sold out very quickly so it is definitely something that appeals to ladies. Do you think there is a gap in the market for this kind of ladies’ watch with this level of horological content rather than just high jewellery alone? 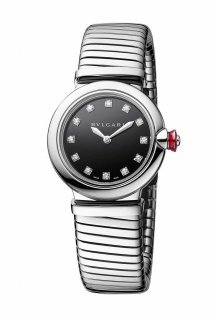 It probably helps to be a jeweller if you want to develop this kind of watch and basically there are only two or three brands in this position. 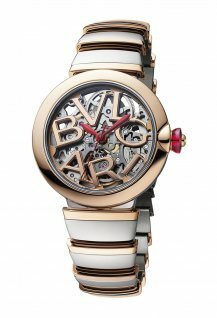 Because we also have grand complication credentials, the idea of combining the two was quite logical. 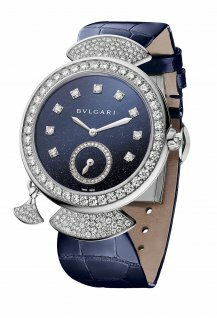 We have the Italian jewellery heritage on the one side and the locally developed Swiss watchmaking expertise on the other. 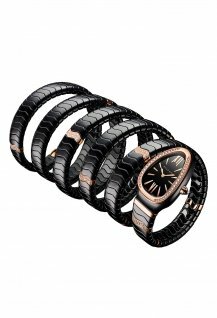 I think there is a lot of potential because grand complications have traditionally been masculine and over the long term the feminine pieces could account for up to 40% of our sales in this segment. What can you tell us about the year ahead and Baselworld 2019? We will be in Baselworld along with the other LVMH group brands. We will be observing, assessing and measuring so that we can draw conclusions on whether the strategy adopted by the new management is going in the right direction and whether we should confirm our longer-term commitment. 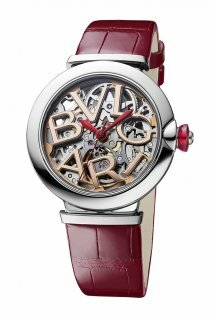 The Swiss watch industry is small by global standards and it’s important to have the spotlight on it twice a year. It’s good image-wise for the industry as a whole. Whether it is relevant for individual brands depends a lot on the creativity of those brands. They also have a responsibility to bear and be clear on what their expectations are and how they can stand out. Over the coming twelve months we will be very focused on Octo, Lvcea and Serpenti and the rinascimento will be taken to a next level first of all during this SIHH week and then will culminate at Baselworld. We will continue to be aggressive on the market and are targeting significant growth in 2019.